The Nintendo Switch is here! No system is much without it games, and we’ve discussed all you need to know about the Switch games available at launch Which Nintendo Switch Launch Games Should You Buy? Which Nintendo Switch Launch Games Should You Buy? The Nintendo Switch is here! Let's take a look at all the launch games and see which ones are worth buying. Read More . The lineup is certainly dominated by the massively open world of Zelda: Breath of the Wild (check out our beginner’s guide The Spoiler-Free Beginner's Guide to Zelda: Breath of the Wild The Spoiler-Free Beginner's Guide to Zelda: Breath of the Wild The Legend of Zelda: Breath of the Wild is here, and what an adventure it is. Here are some beginner's tips to keep in mind as you start exploring. Read More ), but there are a few other worthwhile games as well. One of the great decisions Nintendo made with the Switch was removing the region lock. This means that U.S. units can play Japanese games without any kind of hacking or workarounds. Of course, importing Japanese games incurs an extra cost. Thankfully, there’s a better way: you can access the Japenese eShop to purchase Japan-only games digitally. Try it now to unlock more launch titles for the system. To do this, visit the Nintendo account page (use an incognito window so you don’t have to sign out of your current account) and click the Create a Nintendo Account button at the bottom of the page. Sign up as normal, but make sure to use a different email address from your main account and select Japan as your region! You’ll receive a code via email once you’re done; enter that on the resulting page and you now have a Japanese account. Next, grab your Switch and go to System Settings > Users. Click Add User and go through the process of adding a new user to the system. Link it to the Japanese Nintendo Account, and you’re all set. Now, when you click eShop on your Switch, you can choose your Japanese account and access the Japanese eShop. There are several games available here that Western audiences don’t have. The store is obviously in Japanese, but the layout is the same as the English shop so it shouldn’t be too hard to browse. Since prices are in yen, your U.S. credit card probably won’t work. If this is the case, you should purchase a prepaid eShop card from a local retailer. Some Japanese games offer English dialogue, so have a look at the titles available and see if any strike your fancy! Want to know more on the Switch? 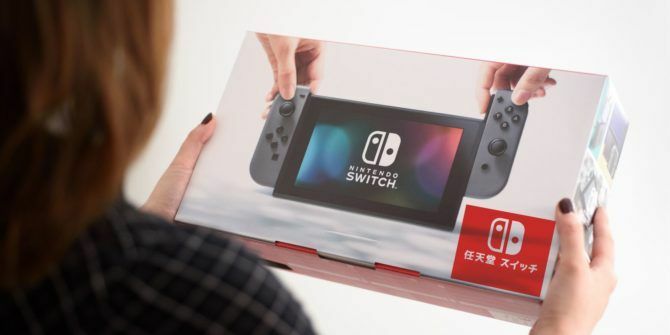 Read answers to your burning Switch questions 15 Questions You Have About Nintendo Switch Answered 15 Questions You Have About Nintendo Switch Answered The Nintendo Switch is here! We've got one, and have answers to the top questions about the system. Read More . What do you think of the Nintendo Switch so far? Let us know if you’ll download some Japanese games or stick to the U.S. titles in the comments!